…I am already pining for Halloween. It’s my second-most favorite holiday (next to Christmas of course!) I love fall in general and my heart breaks a little every time I realize that I have to spend every day feeling the heat instead of breathing the crisp, cool air. And that I have to close my eyes and exhale slowly to visualize the beautiful mountains with all the fall colors. And the apple orchards exploding with ripe fruit, just begging to be pied. WAHHH! So I do what I can. And that includes decorating my baby. These will be in my shop September 1st! 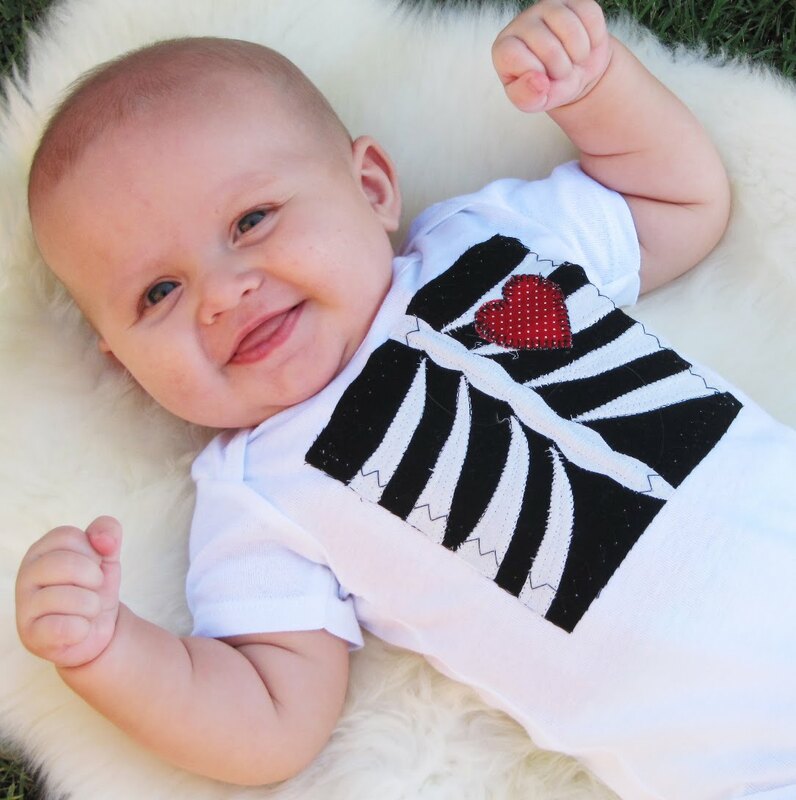 I love that Tell Tale Heart onesie! Super cute! These are so cute! I love your blog. I love decorating for Halloween too and can't wait to get started. Oh my goodness! Those are so adorable! I LOVE them. You did such a great job and your son looks so handsome. Too bad I'm not having my baby until December. If I was having him in October he would totally be sporting one of those onesies for Halloween. 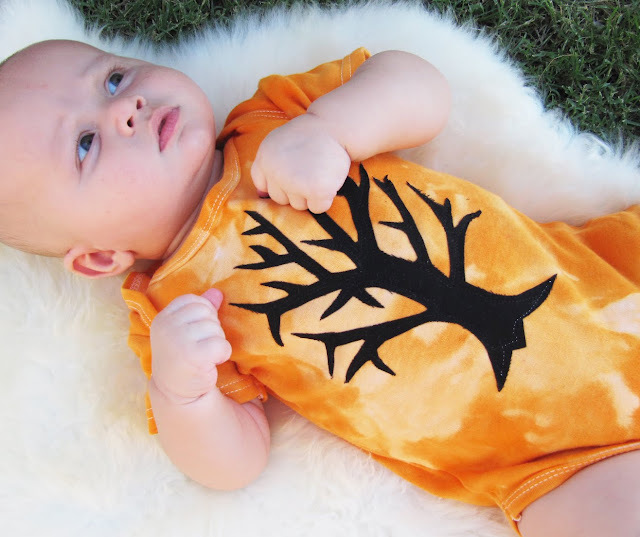 The onesies are super cute! I love Halloween too, it's my favorite holliday. My birthday is just before it too so October is the best month.